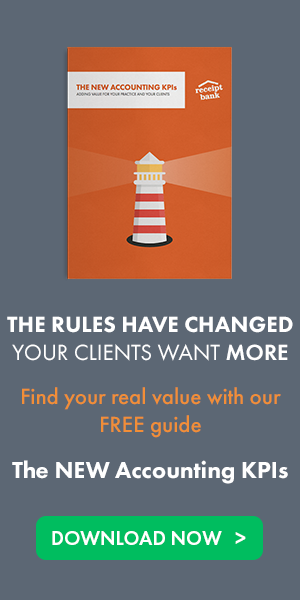 In 2010 I had been running a small company for around five years (for the practitioners amongst you it was a VAT registered, UK limited company on the flat rate scheme). For the previous three years I had been using online accounting software. Now, before you assume that I was an early adopter of accountancy trends or someone who saw the future, I can assure that I was neither. I was just a very bad client who had made a hash of my bookkeeping so many times that my accountant (in desperation I think) suggested that I use a much simpler online system in the hope that it would keep me out of trouble. Having used this software successfully for three years I had got into a reliable routine: I would issue invoices regularly from the software but otherwise leave it alone until the dreaded year-end approached. Then I had another routine: I would get an email from my accountant asking me to bring my books up to date; I would ignore it thinking I had plenty of time. I would get another email a couple of weeks later stressing that I really needed to bring my books up to date; I would ignore it because I had other pressing things to do. And then, finally I would get a phone call on a Friday saying “Michael, you really need to get all your records to me on Monday…”. This call would then trigger a miserable weekend during which I would download the bank statements, sort out the piles of receipts and invoices and then begin the process of data entry. Having gone through the process for three years I had grown frustrated. Firstly at the loss of time - I knew that it would take me at least a day of data entry, if not the entire weekend. Secondly, I was frustrated at the loss of money. I realised that the process I was following was causing me to lose money in three ways: (1) forgotten expenses, such as taxis that had long since been forgotten about; (2) expenses that I no longer had the supporting evidence for, and which despite remembering the expense I didn't have the details; (3) small incidental expenses such as coffees which, because of their small value, I had long since stopped collecting the receipts when I knew that I would have to do the data entry on them at the end of the year. Combined I felt that these three factors meant that around £1,000 was leaking out of my business each year. The solution I found was a company called ReceiptFarm. They had a simple solution: each month I could post in my receipts (by Royal Mail), they would scan them, extract the key data and then make this available to me online. I thought this was brilliant! Problem solved. Not only did it solve the issue of the lost time and money but it also solved the issue of storing my records. So I jumped into it. I did the trial and they did exactly what they said they would do. I was delighted. However, after my initial excitement subsided I realised that I still had a problem. Although ReceiptFarm had solved 90% of my initial problem there were two issues remaining. ReceiptFarm did not have the ability to share my account with my accountant nor did it have the ability to publish my data into my online accounting system. Therefore I was still faced with some data entry. To solve this last 10% I contacted ReceiptFarm to ask them if it were possible to make some tweaks to their service. Their customer service was excellent - they responded to me in ten minutes. Unfortunately their response was that they were closing down the company. Having come so close to solving my problem, I wasn’t prepared to give up so I did the only sensible thing I could - I asked to buy the company! Six weeks later a new company - Receipt Bank - was formed. And, although it took us around six months to open the doors to clients, we formed the company to solve the same problem - to remove the administrative burden that bills, invoices and receipts place on businesses. 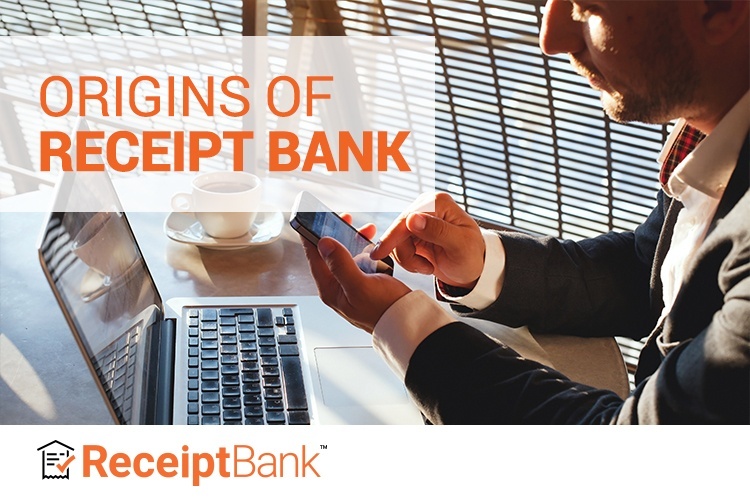 Of course, there were some significant changes: from day 1 Receipt Bank worked with accountants and bookkeepers as partners to bring additional efficiency to firms and to help improve the client experience, from day 1 Receipt Bank integrated with the leading cloud bookkeeping and accountancy software so that the data could flow seamlessly from a paper invoice into these systems. And that is where we are today! We are recommended by hundreds of bookkeeping and accountancy firms around the world. We are used and trusted by thousands of businesses. And we are still working on the same problem - how to keep reducing the time required to move a bill, invoice or receipt into the system where the data is required.